When you google “weight loss” the challenge to sort fact from fiction begins. These five supplements claim to speed up weight loss, but let’s see what the evidence says. 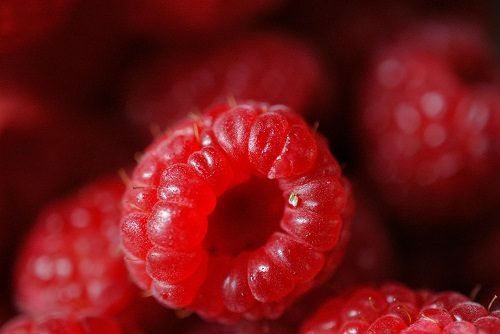 Raspberry ketones, sold as weight loss tablets, are chemicals found in red raspberries responsible for that distinct raspberry flavor and smell. You can also make raspberry ketones in a lab. A study in obese rats found raspberry ketones reduced their total body fat content. In one study, 70 adults with obesity were put on a weight loss diet and exercise program, and randomized to take a supplement containing either raspberry ketones, or other supplements such as caffeine or garlic, or a placebo. 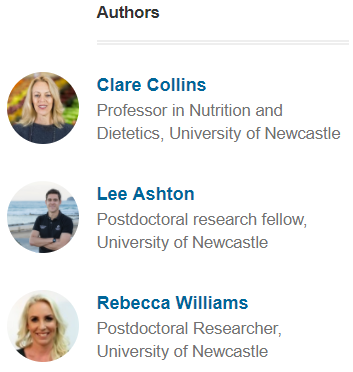 A small pilot study of five adults found no effect on weight when the participants were told to maintain their current eating and exercise patterns and just took supplements of 200mg/day of raspberry ketones. Verdict: Fiction! Leave the raspberry ketone supplements on the shelf. Spend your money on foods that contain them, including fresh berries, kiwifruit, peaches, grapes, apples, and rhubarb. Matcha is a green tea made from leaves of the Camellia sinensis, or tea plant, but it’s processed into a green powder and can be mixed into liquids or food. Before the leaves are harvested, the tea plant is put in the shade for a few weeks, which increases the content of theanine and caffeine. No studies have tested the effect of matcha on weight loss. A review of six studies using green tea preparations for weight loss over 12 weeks found a difference based on country. In studies conducted outside of Japan, people consuming green tea did not lose more weight than controls. In the eight studies conducted within Japan, the mean weight loss ranged from 200 grams to 3.5 kilos in favour of green tea preparations. In animal studies, HCA interferes with usual production of fatty acids. If this worked in humans, it could theoretically make it harder to metabolize fat and speed up weight loss. Research studies in humans show this is not the case. While one 12-week trial in overweight women randomized them to a low kilojoule diet, with or without HCA and found the HCA group lost significantly more weight (3.7 compared to 2.4 kilos for placebo), two other trials found no difference in weight loss. A 12-week trial in 135 men and women found no difference in weight loss between the HCA group (3.2 kilos) and the placebo group (4.1 kilos). A ten-week trial in 86 men and women who were overweight and randomized to take either Garcinia Cambogia extract or placebo, but were not also put on a weight-loss diet, found minimal weight loss of 650 grams versus 680 grams, with no difference between groups. Caffeine is claimed to increase your metabolic rate and therefore speed up weight loss. Research studies in volunteers of a healthy weight found an increase in metabolic rate, but it depended on the dose. The more caffeine supplements consumed, the more the metabolic rate went up. The lowest caffeine dose of 100mg, the amount in one instant coffee, increased the average metabolic rate by nine calories per hour, while the 400mg dose, which is roughly equivalent to the caffeine found in two to three cups of barista-made coffee, increased metabolic rate by about 34 calories per hour over three hours. When adults with obesity received caffeine supplements at a dose of 8mg per kilo of body weight, there was an increase in metabolic rate of about 16% for up to three hours. In a study in which adults with obesity were asked to follow a weight-loss diet, then randomized to receive either 200mg caffeine supplements three times a day for 24 weeks or a placebo supplement, there was no difference in weight change between groups. For the first eight weeks, the group taking caffeine supplements experienced side-effects of insomnia, tremor, and dizziness. Verdict: Fiction! While caffeine does speed up the body’s metabolic rate in the short-term, it does not speed up weight loss. Alkalizing products are promoted widely. These include alkaline water, alkalizing powders, and alkaline diets. You’re supposed to measure the acidity of your urine and/or saliva to “assess” body acidity level. Urine usually has a slightly acidic pH (average is about pH6) – vegetables and fruit make it more alkaline, while eating meat makes it less so. Saliva has a neutral pH of 7. Alkaline diets recommend you modify what you eat based on your urine or saliva pH, claiming a more alkaline pH helps digestion, weight loss, and well-being. But your stomach is highly acidic at a pH less than 3.5, with this acid helping to break down food. It then moves into the small bowel for digestion and absorption. There, the pH increases to 4.5-5.0, which is still acidic. Your body has finely controlled pH balancing mechanisms to make sure your blood pH stays between 7.35-7.45. If it did not, you would die. On the positive side, alkaline diets encourage healthier eating by promoting plant based foods such as fruit and vegetables. Some evidence links better long-term health to lower intakes of foods from animal origin that contribute to acid load. This article, by Clare Collins, Lee Ashton, and Rebecca Williams, was originally published on The Conversation here under a Creative Commons license.